Recent Items in the jump list is a useful feature most of us. But sometimes this feature will be annoying. Especially when multiple people are using the same computer or laptop. The best example will be home computer. 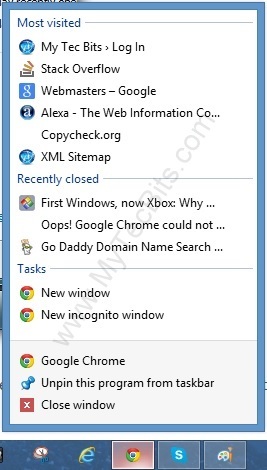 So how to disable the recent items in windows 8? This article will guide you on disabling recent items list. It’s easy to avoid recent items populating in the jump list. Below are the steps to disable the recent items. Go to windows 8 desktop. 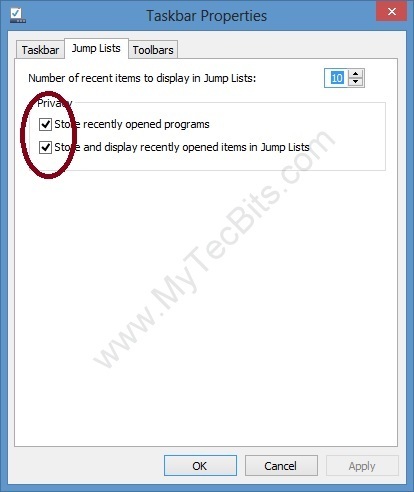 Before Disabling the recent items, check one of the jump list. 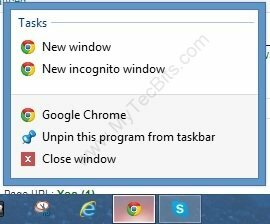 Right click the task bar and select Properties. In the properties screen go to Jump List section. In the Jump List section un-check the Store and display recently opened items in JumpLists. 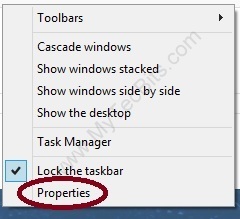 Click OK or Apply and close the properties screen. Now go back to a Jump List and see if it’s displaying.